SANDRA LEE THIELMAN AND her hometown handyman, Ron Bunday are hanging one of the marble strips above Sandra’s mother Dollie Joanne Thielman’s burial place inside one of the four multiple burial crypts inside the Beecher Mausoleum. 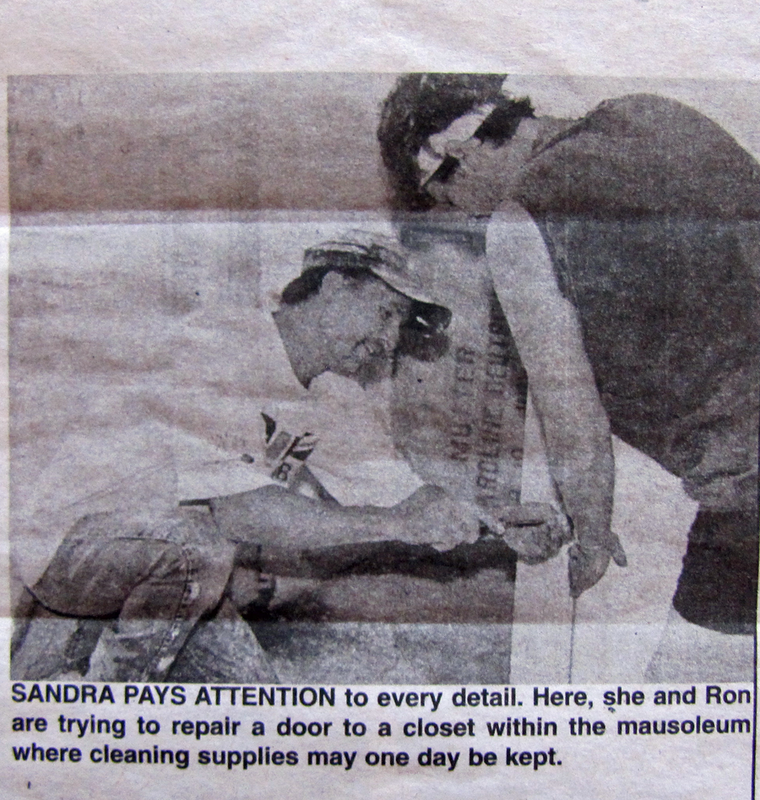 SANDRA PAYS ATTENTION to every detail. Here she and Ron are trying to repair a door to a closet within the mausoleum where cleaning supplies may one day be kept. 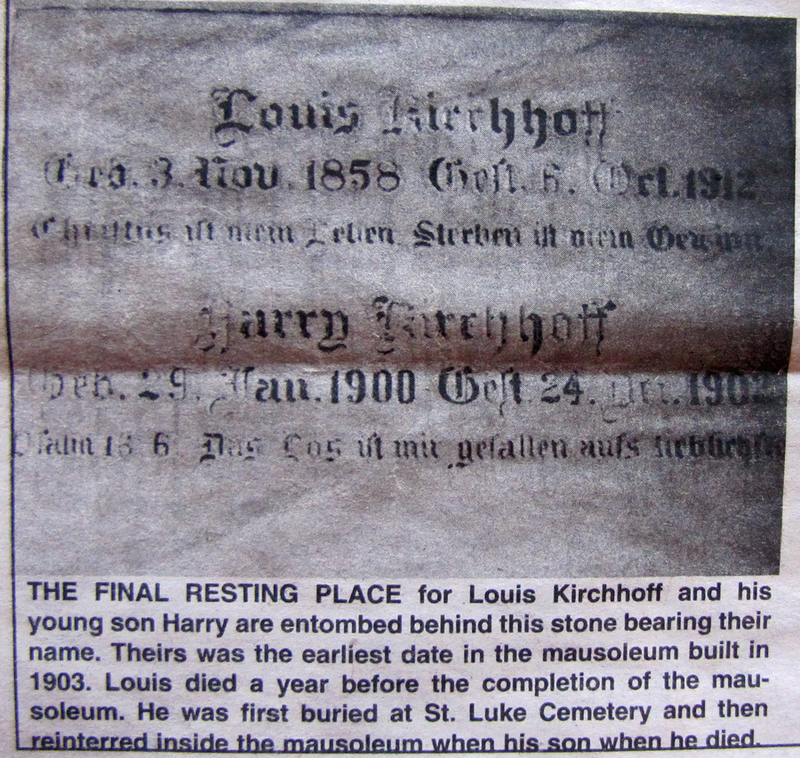 THE FINAL RESTING PLACE for Louis Kirchhoff and his young son Harry are entombed behind this stone bearing their name. 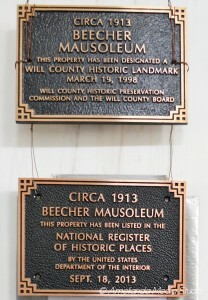 Theirs was the earliest date in the mausoleum built in 1913. Louis died a year before the completion of the mausoleum. He was first buried at St. Luke’s Cemetery and then re-interred inside the mausoleum with his son. 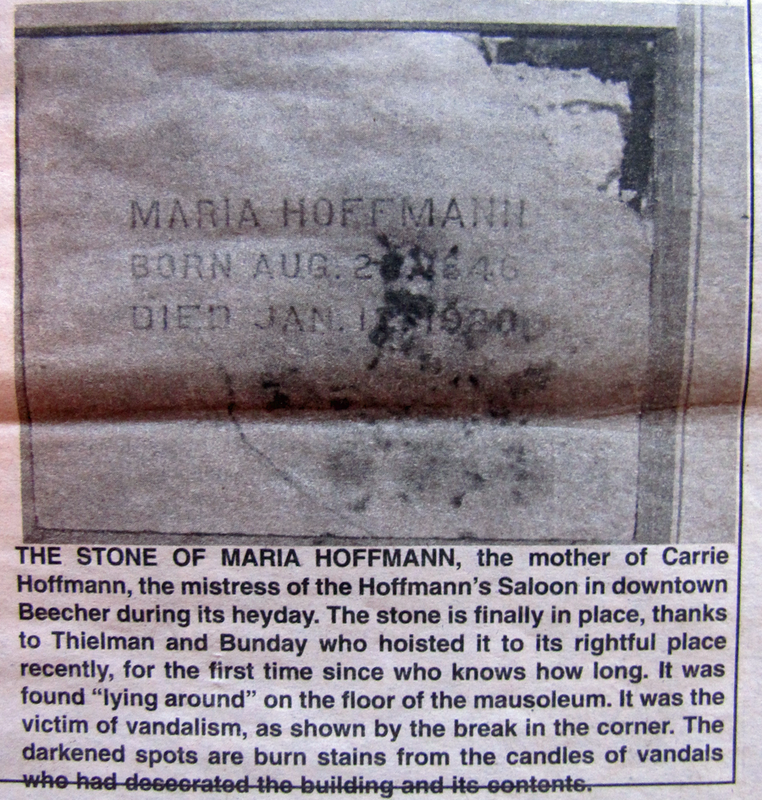 THE STONE OF MARIA HOFFMANN, the mother of Carrie Hoffman, the mistress of the Hoffmann’s Saloon in downtown Beecher during its heyday. The stone is finally in place, thanks to Thielman and Bunday who hoisted it to its rightful place recently, for the first time since who knows how long. It was found “laying around” on the floor of the mausoleum. It was the victim of vandalism, as shown by the break in the corner. The darkened spots are burn stains from the candles of vandals who had desecrated the building and its contents.